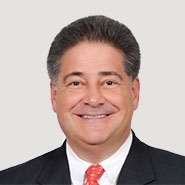 People: Richard A. DiLiberto, Jr.
Richard A. DiLiberto, Jr. will be one of several speakers appearing at this half-day program sponsored by the New Lawyers Section of the Delaware State Bar Association. He will focus on strategies lawyers can use in order to work through issues with a difficult client. For additional information about this program or to register, please download pdf file located at right.